There are so many levels of awareness that a person can achieve through fishing. 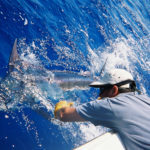 Whether you are a bass fisherman or a saltwater fisherman awareness should be a key part of your approach. Through bass fishing, tournament bass fishing, and saltwater fishing along the Texas Gulf Coast I have reached extreme levels of awareness. Tournament fishing seems to elevate my awareness more than any other type of fishing. Once a person can stay “in the flow” or in “the zone” anything is possible. There are many definitions and perceptions of the term awareness. For the purpose of this article awareness is your ability to get comfortable enough with your surroundings that your mind takes over and has absolutely zero distractions and you fish in “the zone”. Now think about this, fishing without any distractions. I am not talking about fishing fast, fishing hard, thinking hard, or trying hard, because these are all distractions. “In the flow” is a somewhat more advanced stage than “the zone”. 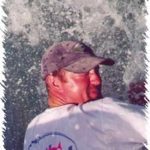 To me, being “in the flow” is a deeper bond with the flow of nature that is prevalent in every move that you make, being aware of your surroundings, and feeling that you are a part of the environment when on the water. If your mind becomes “in the flow” then you, your body, your boat, and everything in it become one with nature and you connect to the flow of nature. Being in “the zone” is far beyond catching fish or figuring out a pattern. Using your instincts and listening to your inner voices and reacting to them instead of ignoring them is all part of “the zone” that I am speaking of. Intuition plays a role as feeling. An intuition is not an idea it is a feeling. 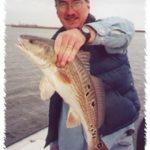 Intuition would be to do something like make a particular cast to an exact spot with the feeling that there is a fish there and then to catch it . Ignoring the conscious distractions and letting these subconscious feelings and intuitions flow through your actions is the goal. Having a “gut” feeling, recognizing it and then utilizing the feeling; this is when the impossible becomes possible.